Two summers ago my car stereo was dedicated to Lady Antebellum. 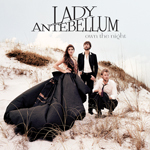 So when Lady A’s new album Own The Night was released in September 2011, I was thrilled to have new songs to listen to. To date, the group has won six Grammy awards, had a double-platinum debut record and a triple-platinum second album in Need You Now. Unfortunately, I think my standards were set too high. It’s not that the songs weren’t good compared to other country-pop, it’s that Lady Antebellum had set themselves apart from the crowd and didn’t quite live up to my expectations. The songs “We Owned the Night” and “Love I’ve Found in You” are catchy, but don’t take the group’s talents to the next level. I can listen to their previous albums from start to finish, but for Own The Night I might have to make a shorter play list of the more unique songs. It takes a lot of passion and dedication to make a truly good soundtrack to accompany a movie. It takes even more to make one for a movie that does not exist. The brainchild of producer Danger Mouse and composer Daniele Luppi, Rome, is inspired from spaghetti westerns in general without specifically tackling any one film. Mostly an instrumental album, the album could stand alone as another successful creation from Danger Mouse. Jack White and Norah Jones split vocal work on six tracks, and this is where the album hits and misses. 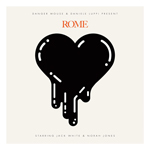 This sort of project is right up White’s alley, and his limited work on the album fits perfectly with Rome. Jones feels right at home on “Black,” but unnecessary on “Season’s Trees”. On an album where she has a limited contribution it is easy to overlook her in enjoying the rest of the soundtrack. Let’s make one thing clear: the music the Beastie Boys put out now is not going to be the same nostalgia-goodness you remember growing up with. Sure the band is still made of the same guys, but they have grown over the years. However, that’s not a bad thing. 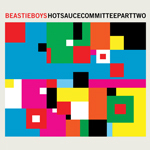 In releasing Hot Sauce Committee Part 2, the band is already more than established and is now only making music because they really enjoy doing it. This process can often divide a fan base, but with the effort put forth on this album, it should come as no surprise that fans and casual listeners will enjoy it. While it doesn’t contain any tracks similar to “Intergalactic” or “Fight for Your Right”, it is still well worth a go.